This rug pad is recommended as a base grade product where economy is needed but desire for a quality cushion is indicated. This product contains less fiber and rubber than the DuraHold product and is recommended for moderate wear. 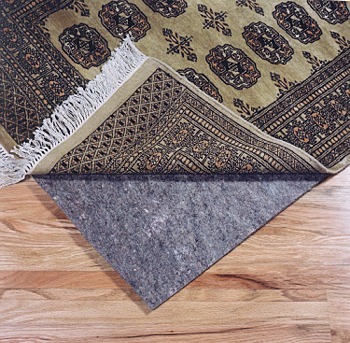 Can be used on any hard floor surface or on carpet to prevent wrinkles.